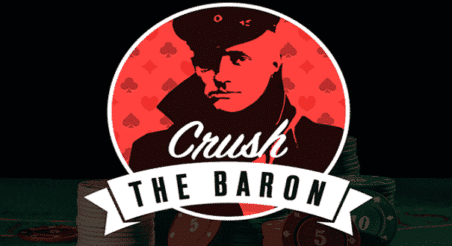 King of The Hill poker competition to boast $200,000 USD championship prize. Upswing Poker featured pro and 2017 High Roller for One Drop winner Doug Polk will face-off against the world’s all-time World Series of Poker bracelet winner Phil Hellmuth for $200,000 next month at the Rivers Casino just outside of Albany, New York. The King of The Hill poker tournament kicks off Tuesday, August 22nd (at 3:30pm Eastern Time), with an inaugural round of heads-up poker matches that will also feature veteran high stakes rounder Jungleman Dan Cates and Tennessee native Frank Kassela to be telecast in real time by Poker Night in America. This past March, the $21.4 million live poker tournament winner commonly known as the Poker Brat welcomed Douglas K. Polk to a Sugarhouse cash game table, only to see his stack shrink as the Supreme Leader raked a five-figure pot before running pure in a $41,000 coin flip against Chicago businessman and PNIA fan favorite Jeremy Kaufman. Hellmuth, a former National Heads-Up Championship winner, will be in full “competition mode” as he looks to match his skills against fellow big name poker personalities in what promises to be a week to remember for Twitch Poker fans. The winner-take-all format requires each participant to stake $50,000 cash with the eventual King of The Hill walking away with $200,000 along with the official championship belt. POKER FACTS: Phil Hellmuth cut his teeth on the live poker felts near Madison, Wisconsin leading up to a historic 1989 WSOP Main Event victory over Johnny Chan. He earned a record-setting 14th bracelet in the world’s largest poker tournament series when he took down the $10,000 buy-in Seven Card Razz event in 2015. Live poker games will be available for Rivers Casino Schenectady patrons throughout the week, with televised coverage of an exclusive 7-handed cash game beginning Thursday, August 24th; by which point a first-ever Poker Night in America “King of The Hill” will have been decided. PNIA cash games typically run at $25/$50 USD stakes, according to a recent biographical article written by Rich Glanzer for PartTimePoker. Casual and serious poker enthusiasts alike are invited stay in to tune-in live to watch all the real money poker action on the @PokerNightTV Twitch channel. Learn more about heads-up poker strategy with Upswing Poker pro Doug Polk! Click Here to watch Doug’s free instructional video.